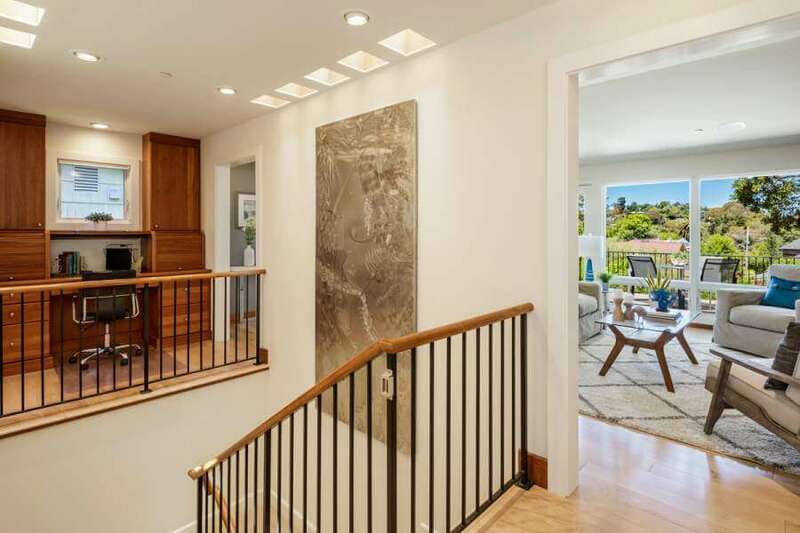 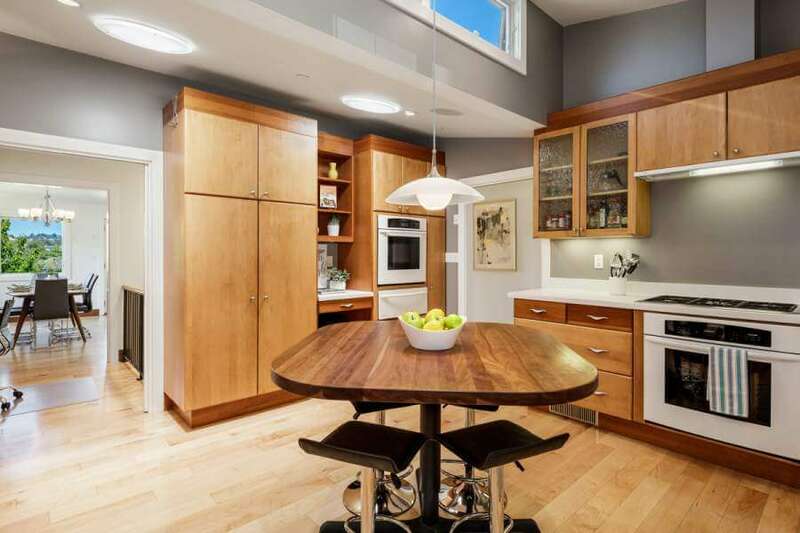 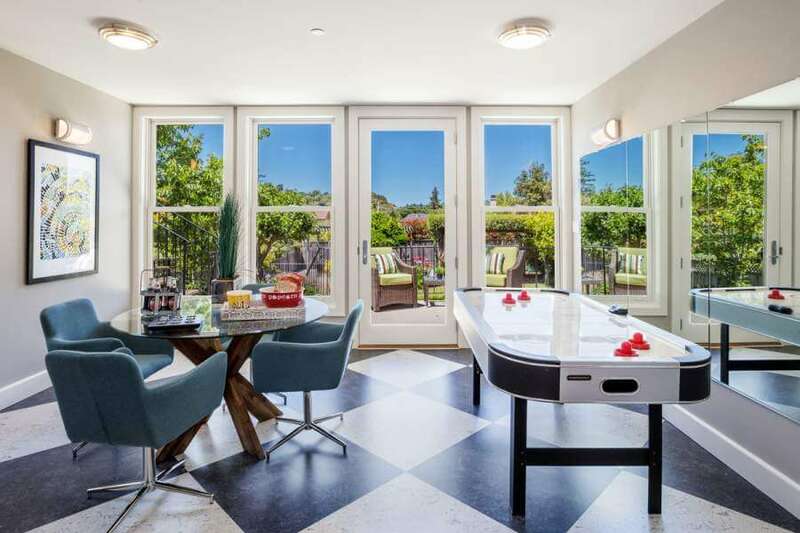 420 Oakdale Ave is a dream home in Chapman Park. 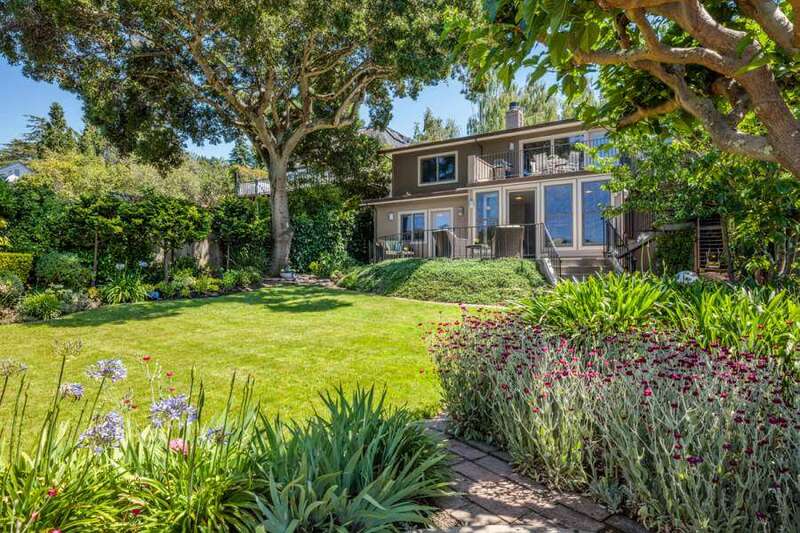 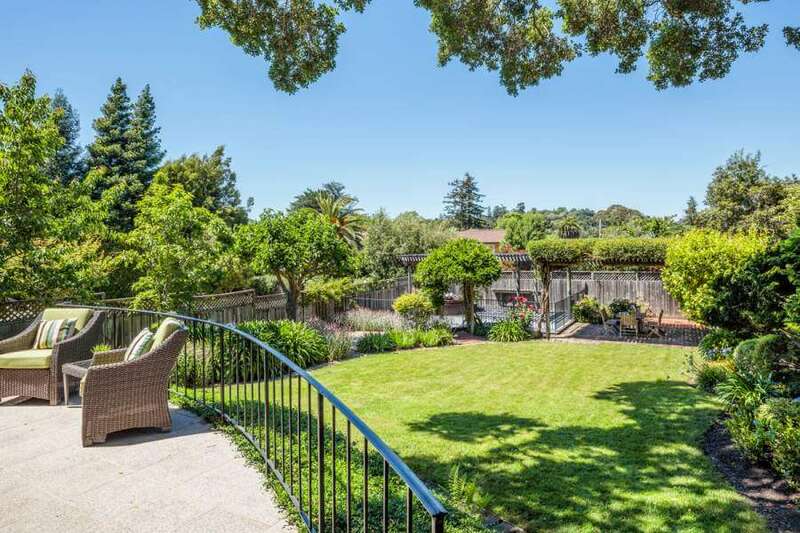 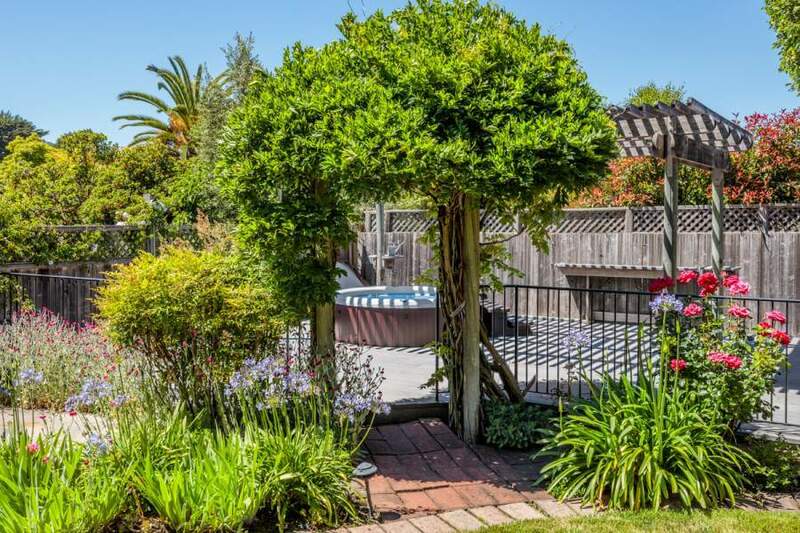 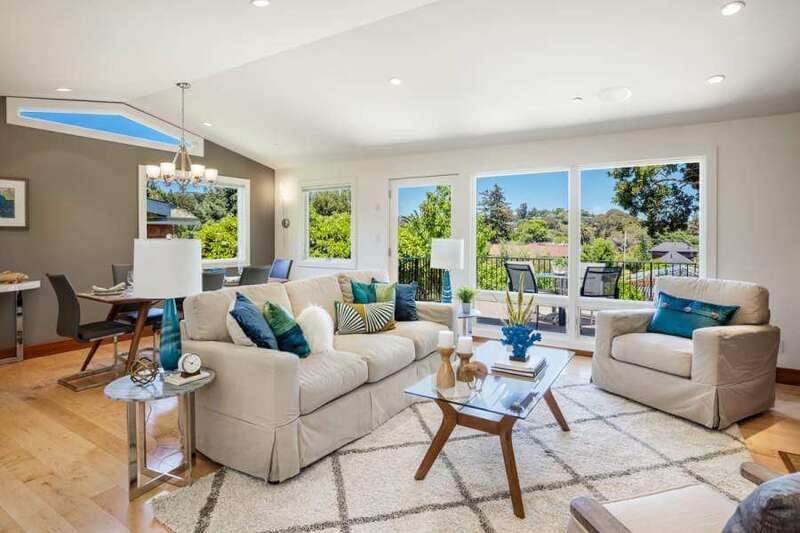 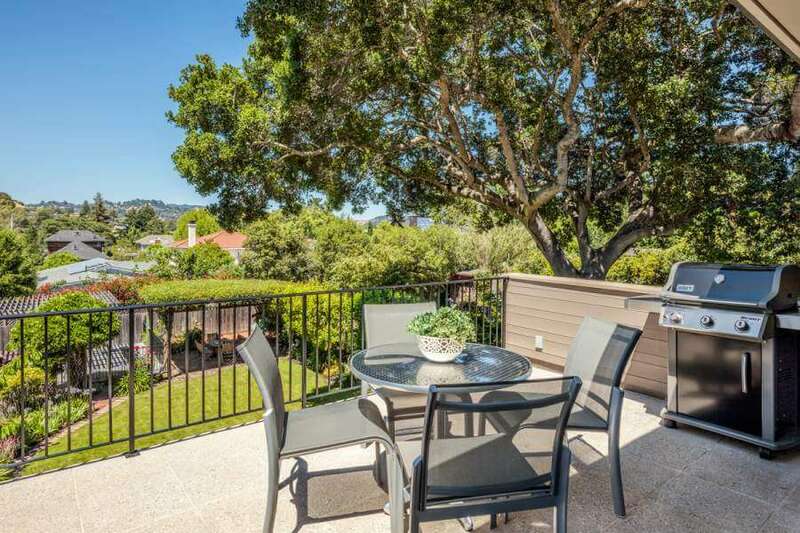 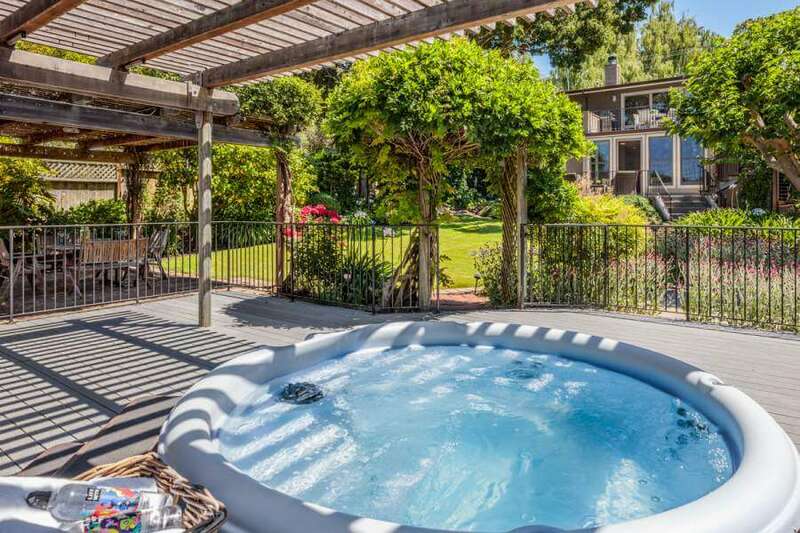 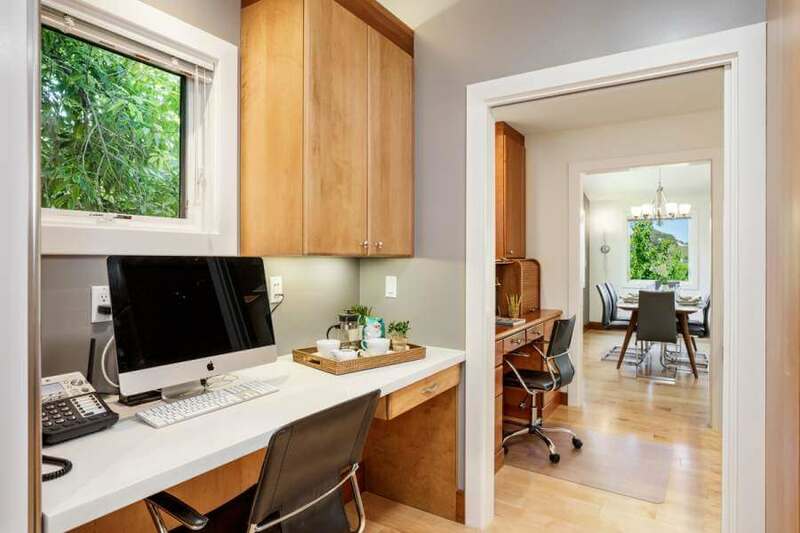 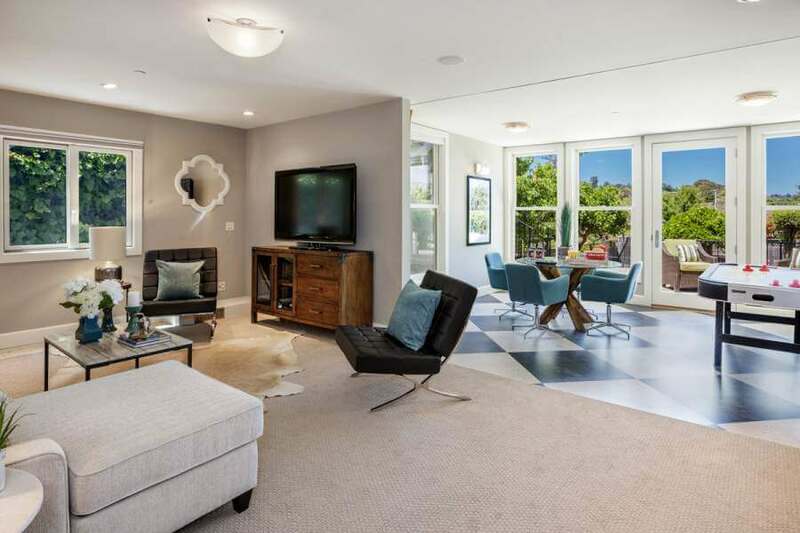 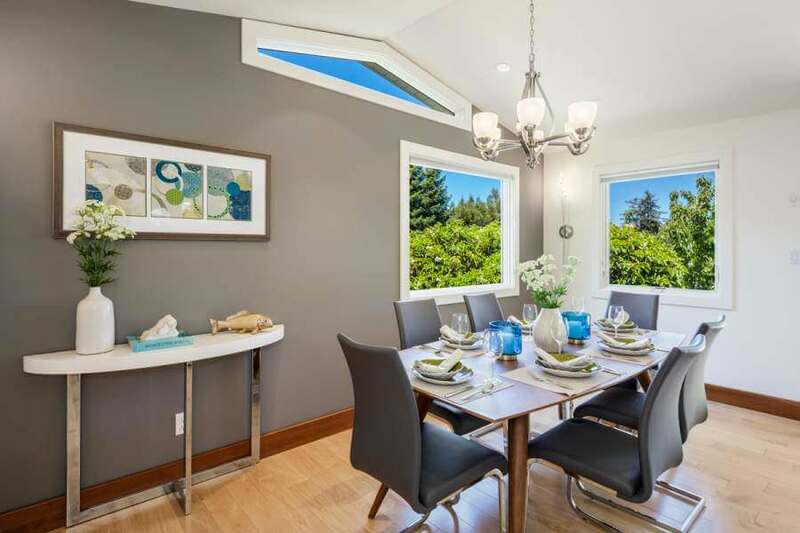 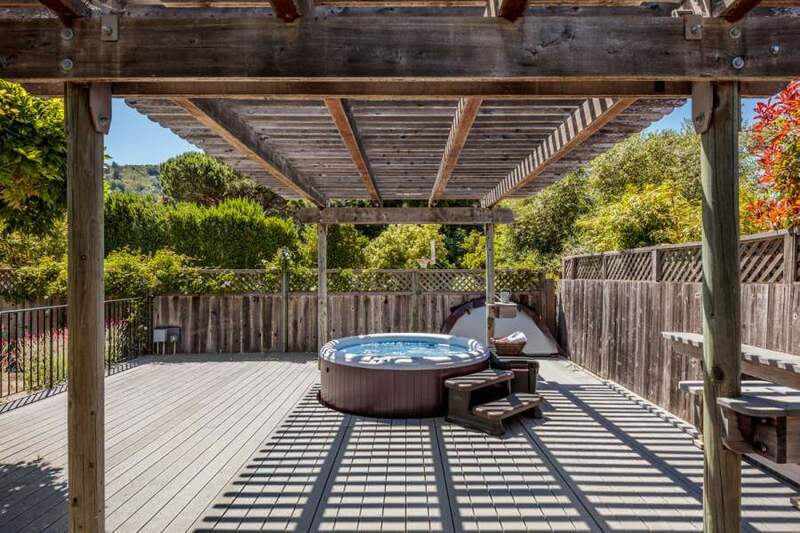 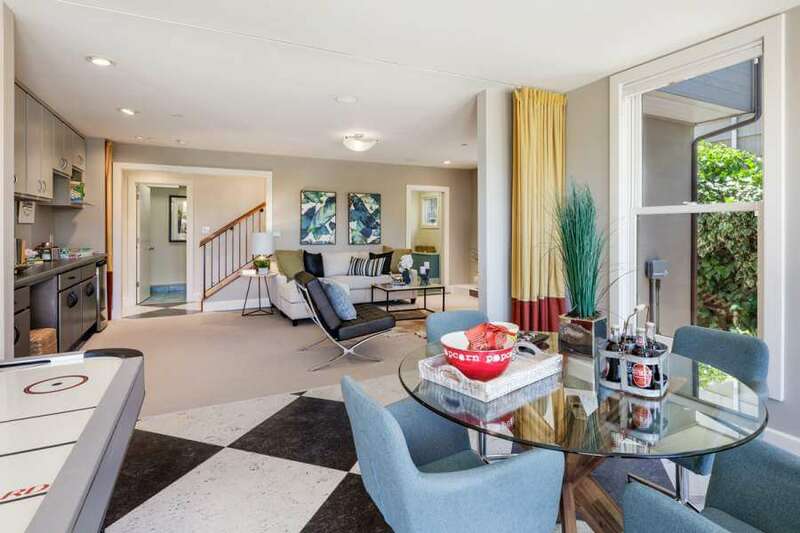 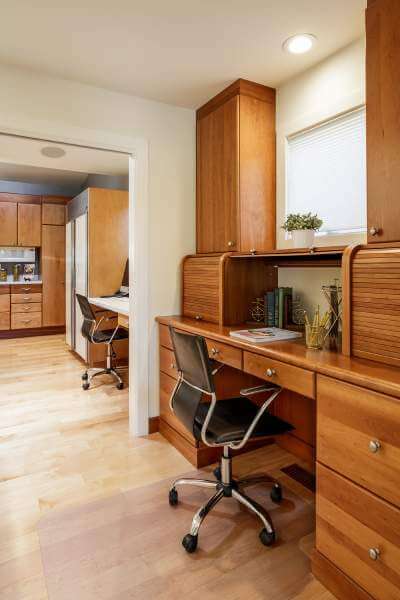 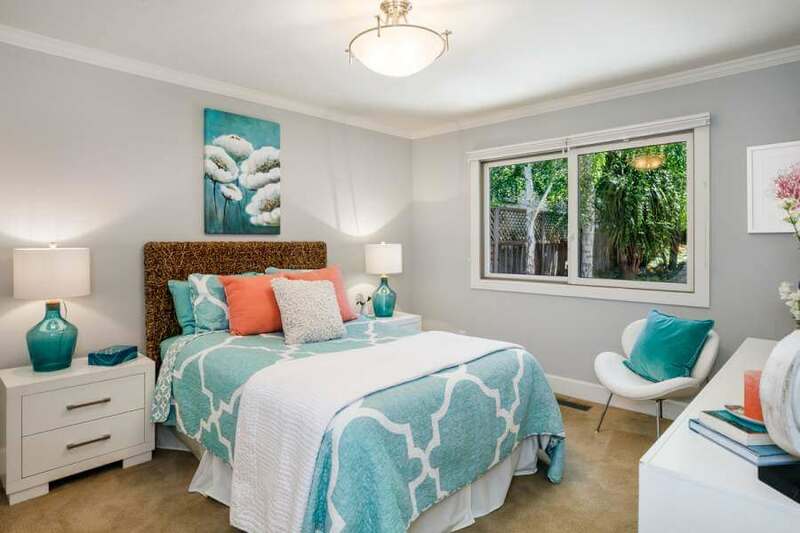 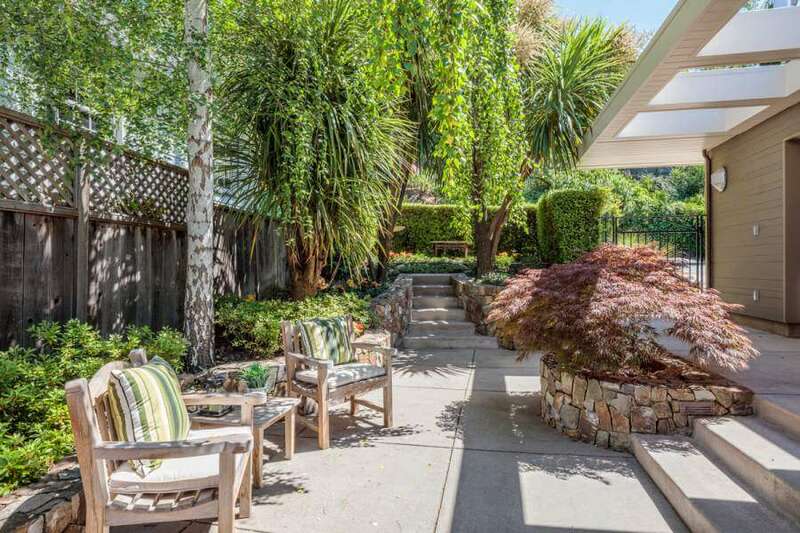 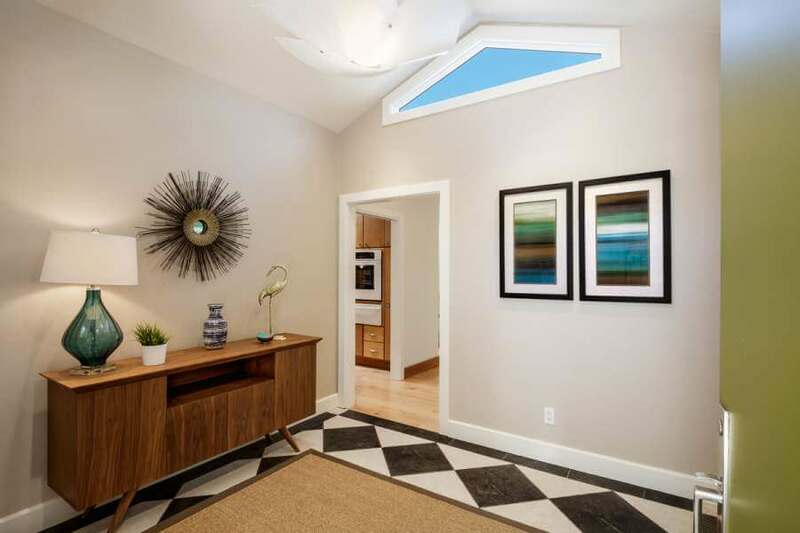 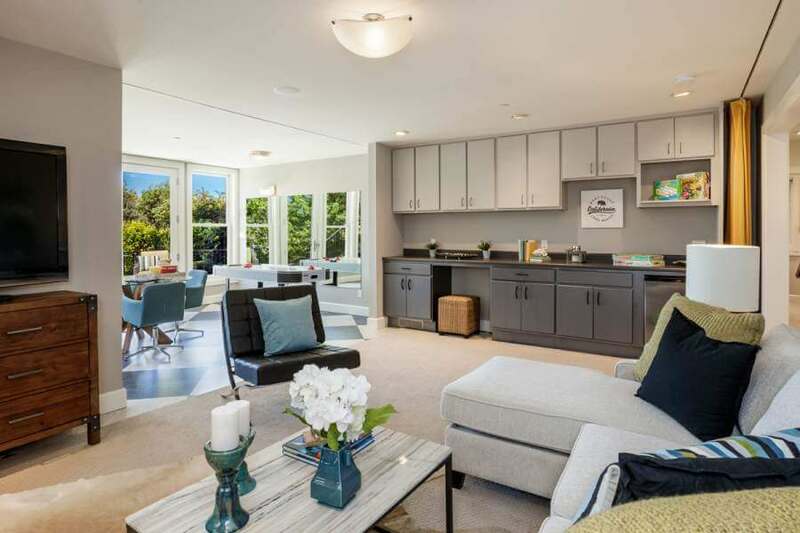 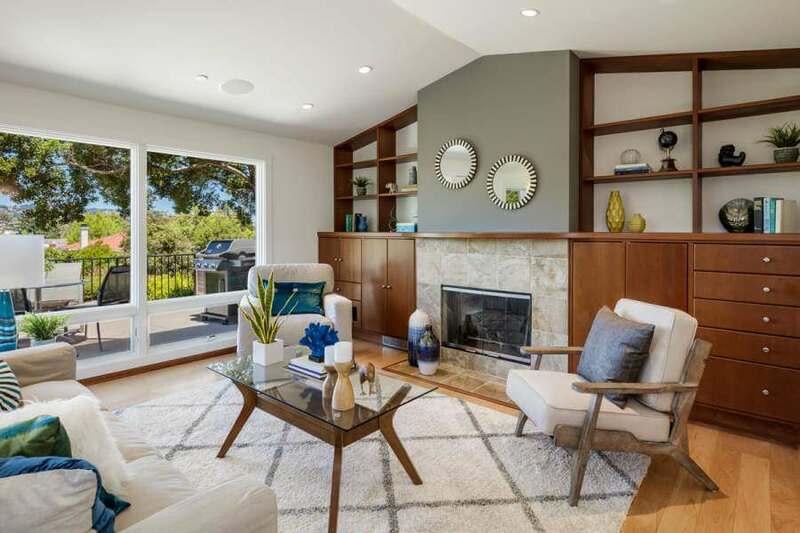 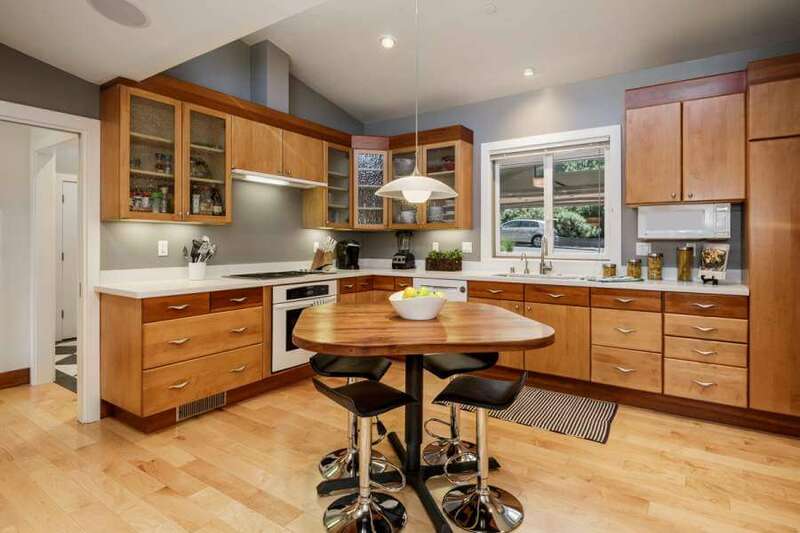 This four-bedroom home in the flat lands of West Corte Madera has everything a family needs. 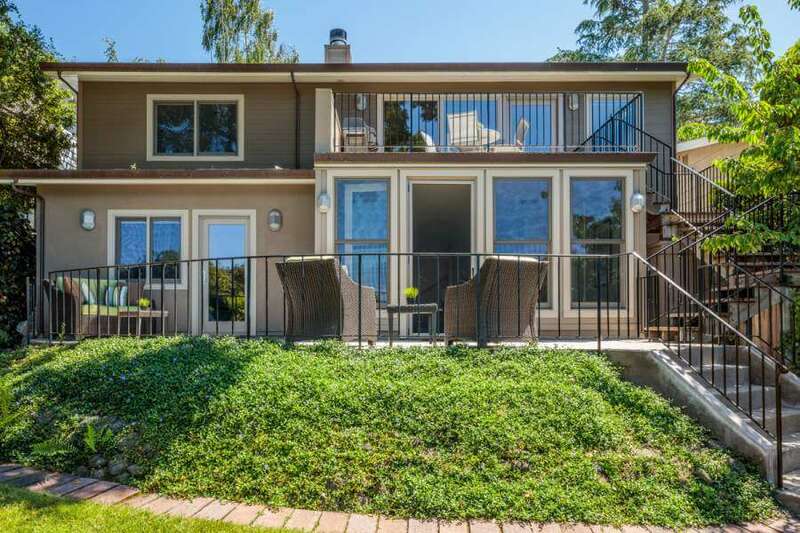 The house is on two levels with walls of glass for maximum light and views of the Marin hills and Mount Tamalpais. 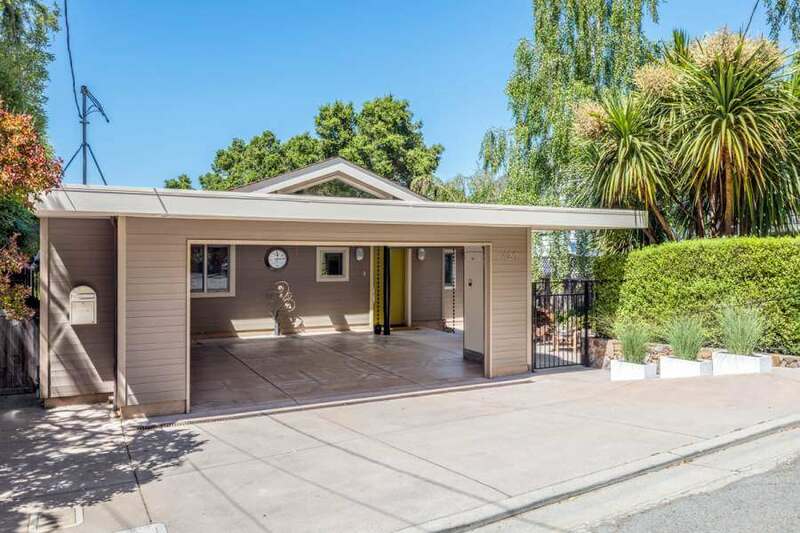 420 Oakdale greets you with an elegantly designed carport garage and a private entry garden and patio protected from the street. 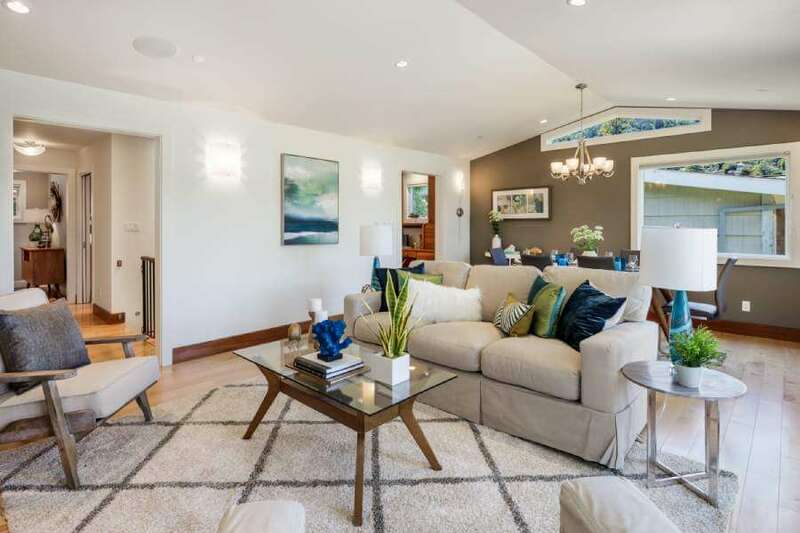 A large foyer with high ceilings opens to a remodeled, eat-in kitchen, a large living-dining room opening to a deck overlooking a thoughtfully landscaped yard, a dramatic open staircase with skylights, an office alcove with custom wood cabinetry, two bedrooms, and a full bath. 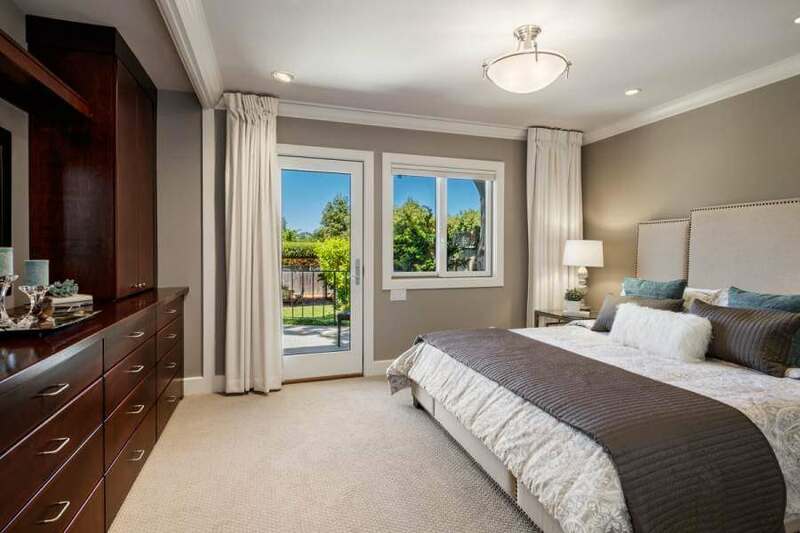 The lower level provides a master bedroom suite with a deep closet and a master bath with an extra large soaking tub; a large family room; a deck opening to the yard; a fourth bedroom; a half bath; and a large laundry and storage room. 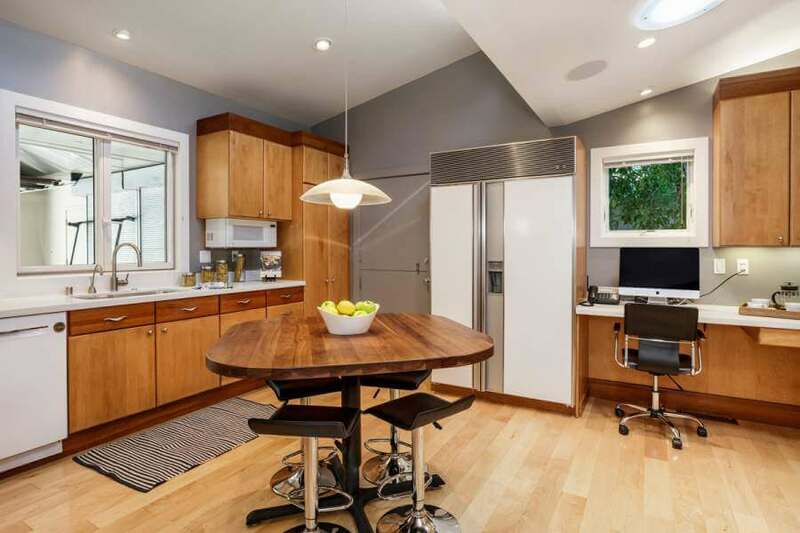 Kitchen counters of white quartz and top-of-the-line appliances. 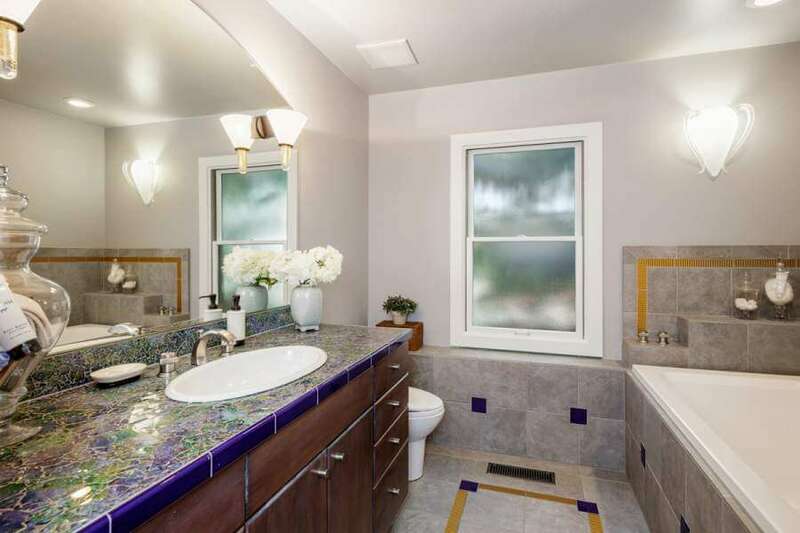 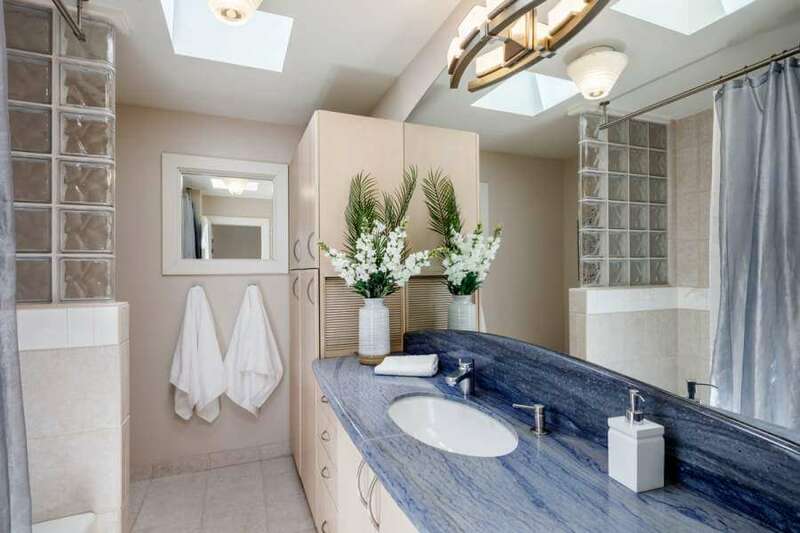 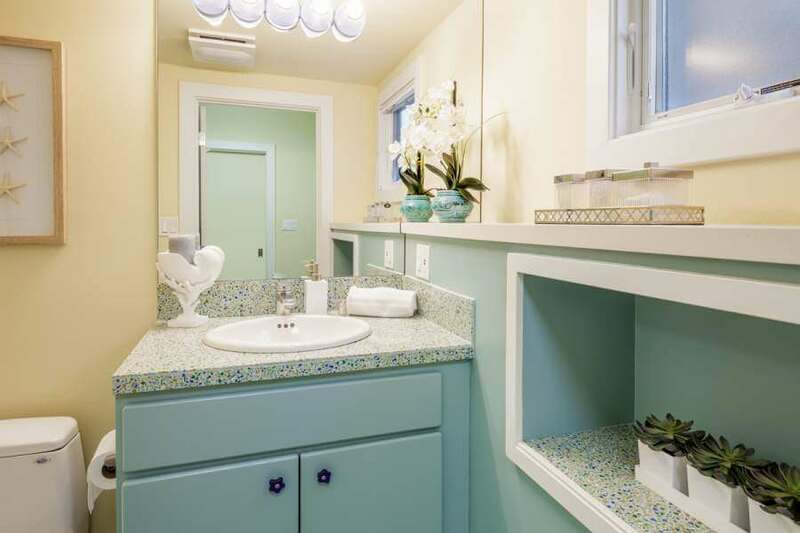 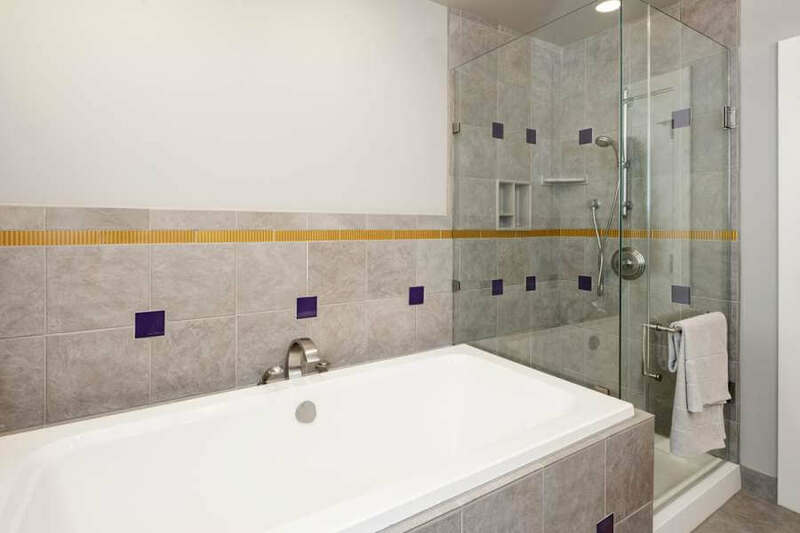 Bathroom counters of fine blue marble, glass mosaic, or stone. 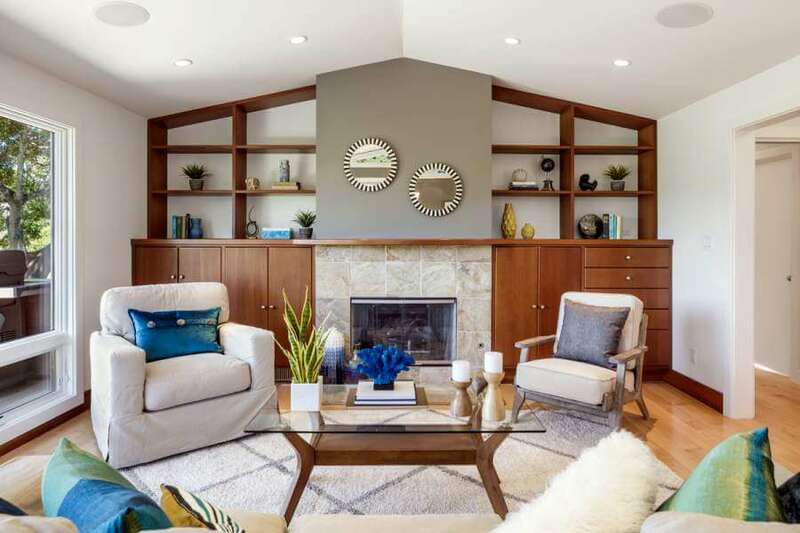 Gas log fireplace in living room with natural stone surround. 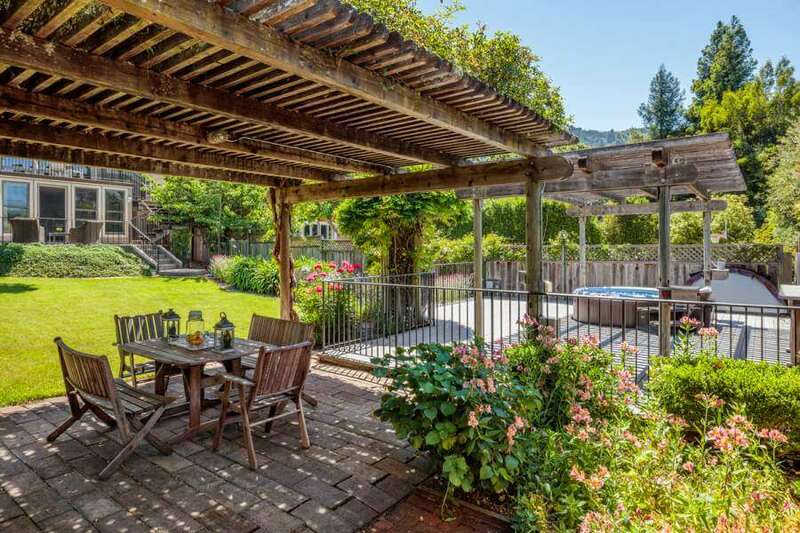 A variety of outdoor living spaces. 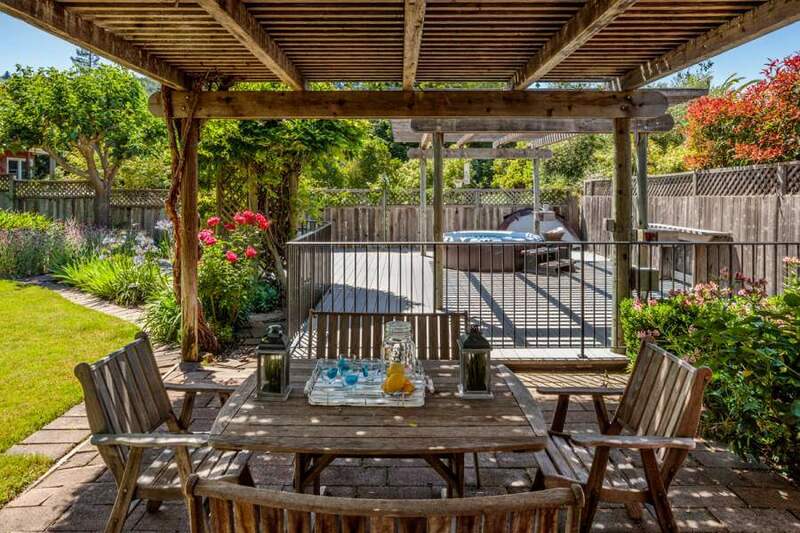 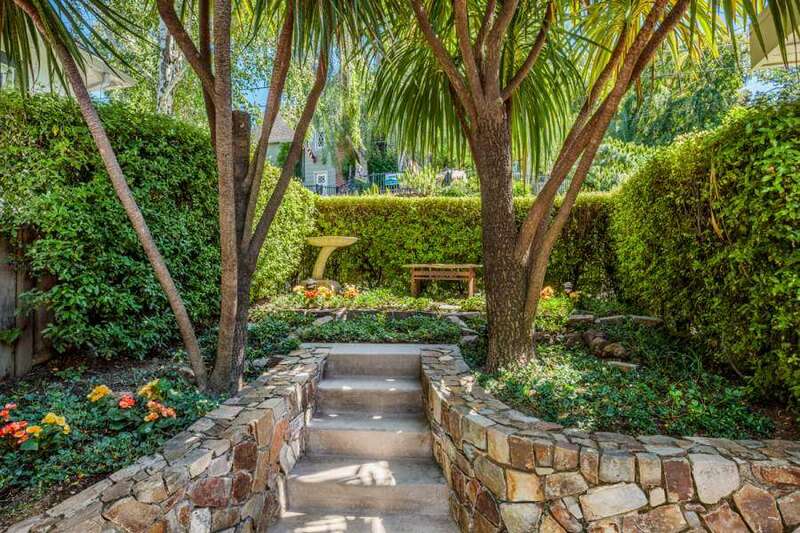 The deep, level yard with abundant space for entertaining and playing completes this outstanding property. 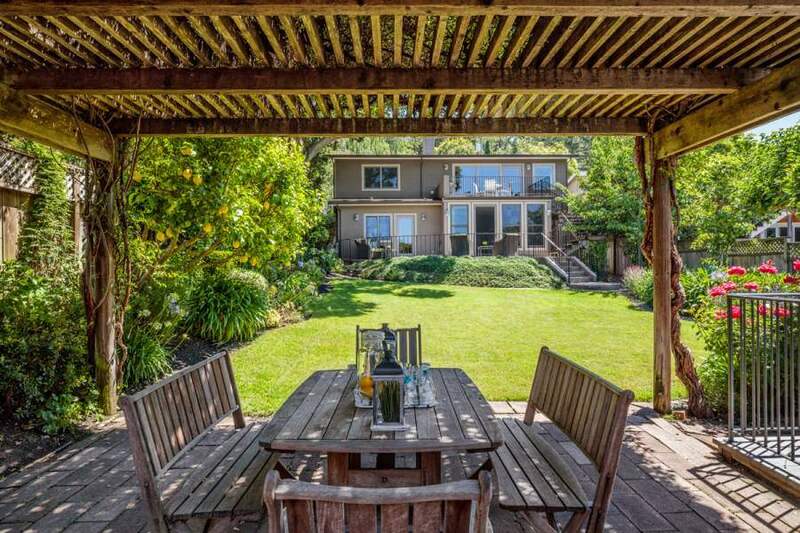 A large curved deck adjacent to the the family room opens to a manicured lawn, graceful paths, two large pergolas – one with a spa, the other for dining in the garden, and mature plants. 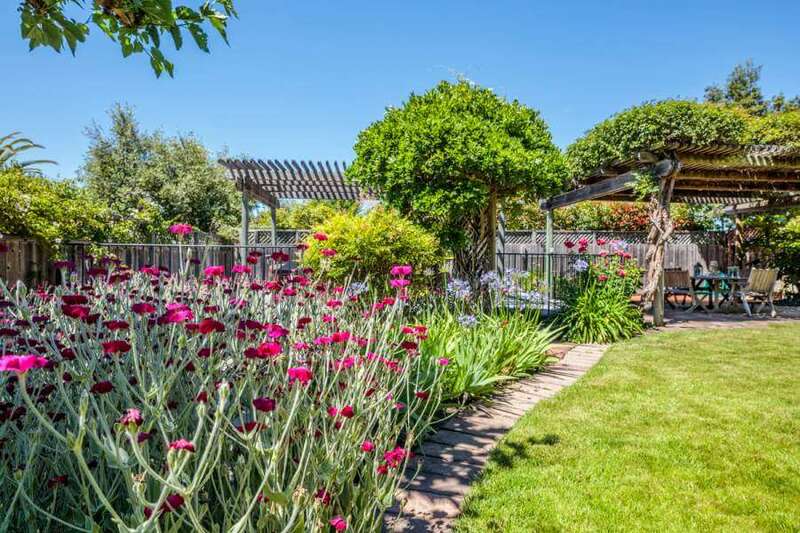 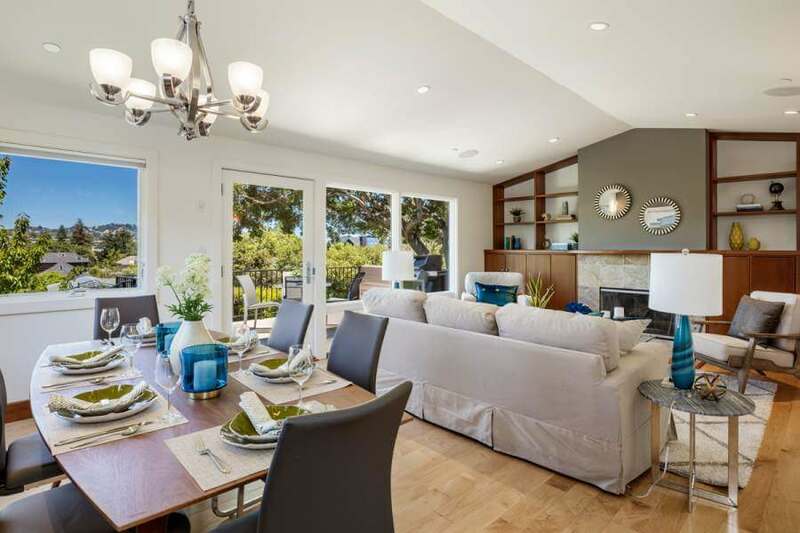 The Chapman Park neighborhood provides charm, convenience, and “walkability.” From 420 Oakdale Ave, you can walk to the Corte Madera Town Park, the Corte Madera Community Center, the Old Town Square with its shops and restaurants, the Corte Madera Town [Shopping] Center. 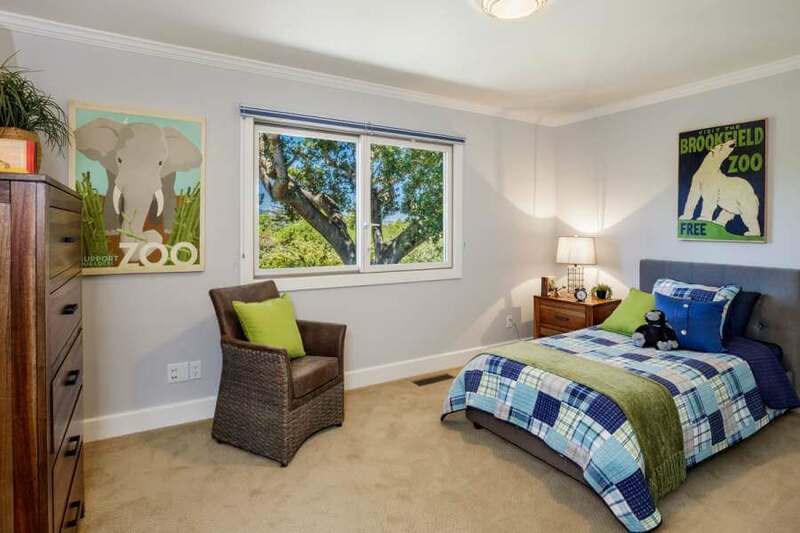 Neil Cummins Elementary School and Hall Middle School are just a few minutes away. 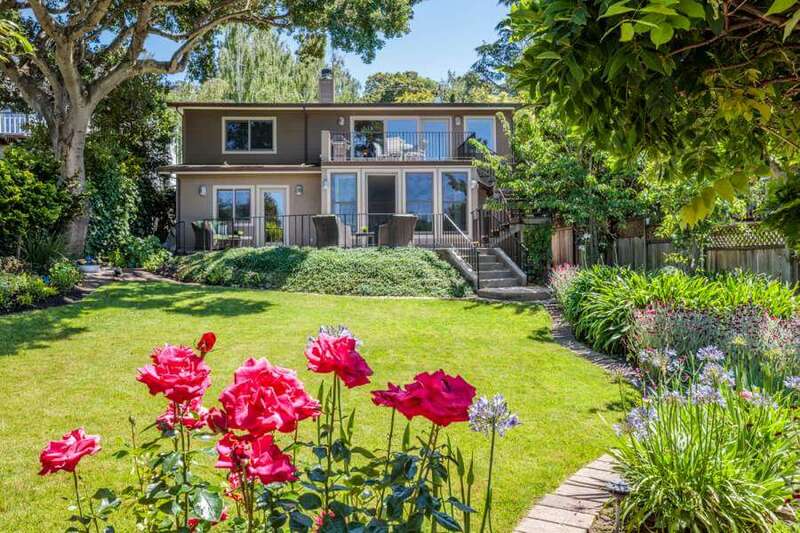 Commuting is easy, with Highway 101 and the Larkspur Ferry Terminal both a few minutes drive (or bicycle ride) from Chapman Park. 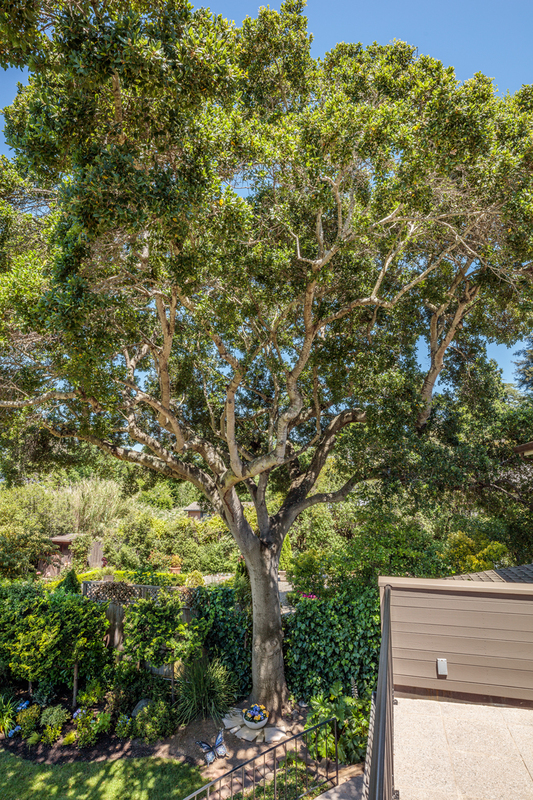 If you are commuting home from San Francisco by car or bus, you exit at Tamalpais Drive, before meeting major traffic going north and east. 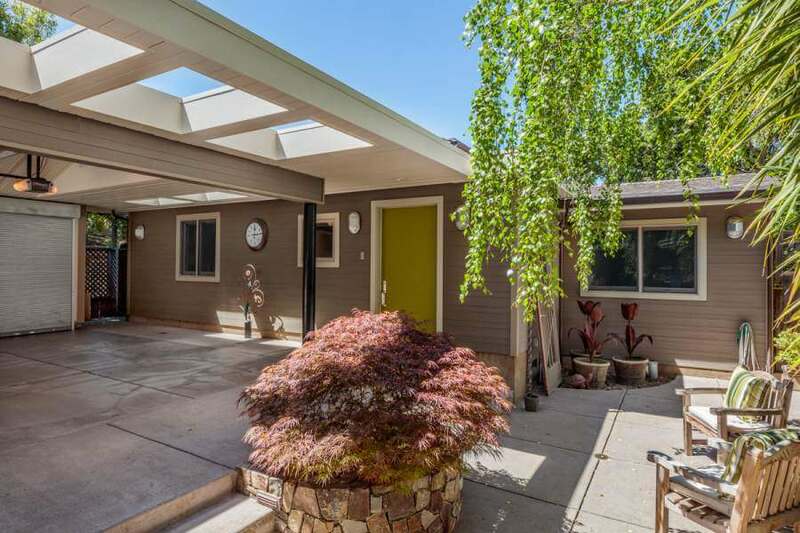 This is the last “easy” exit from the freeway.